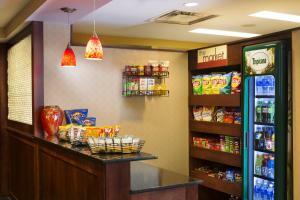 Spacious, comfortable rooms, convenient location, good breakfast and quiet. The kitchen and amenities are great if you want more of a home away from home feeling. Breakfast was good and balanced, veg and meat. 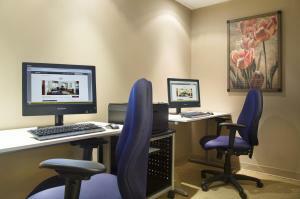 Friendly staff, location is close to parliament and other attractions. The location was ideal for sightseeing and close to great shopping.. The suite was spacious with a kitchen with a fill fridge. The staff was very helpful and friendly. We were a close walk to everywhere we wanted to go and there was a grocery store around the corner which was awesome especially when travelling with kids. We also had breakfast included which was much bigger and filled with more options than we were expecting. We all had a great stay and would stay again! The location, staff and short walking distance to all the main attractions was a huge plus! Would definitely visit again (hoping to pay less than we did as it was during the Canada 150). Lock in a great price for The Carleton Suite Hotel – rated 8.7 by recent guests! The Carleton Suite Hotel This rating is a reflection of how the property compares to the industry standard when it comes to price, facilities and services available. It's based on a self-evaluation by the property. Use this rating to help choose your stay! Conveniently located in downtown Ottawa, this hotel is just a 7-minute walk from Parliament Hill. An indoor pool and full service spa are available on site. Spacious suites include a full kitchen. A kitchenette is provided in all studios. Suites come complete with a full kitchen and separate living area. 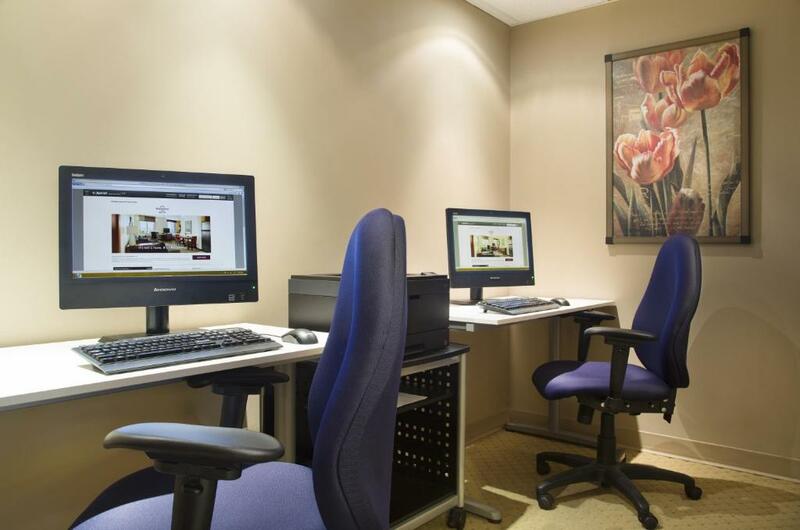 All rooms at Residence Inn Ottawa Downtown have free Wi-Fi and a 37-inch flat-screen TV. 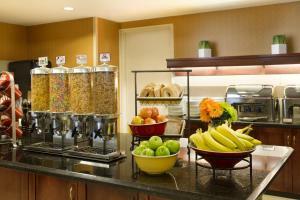 A complimentary hot breakfast is served daily at Residence Inn by Marriott Ottawa Downtown. An on-site Tim Horton’s Coffee Shop is open all day long. After using the on-site fitness center, guests can lounge in the sauna or hot tub. Bossarts Salon and Spa offers body wraps, massages, nail treatments and facials as additional means of relaxation. Byward Market is just a 10-minute walk from this hotel. National Gallery of Canada is about one mile away. Canada Science and Technology Museum is 5.5 miles away. 뀐 Located in the real heart of Ottawa, this property has an excellent location score of 9.3! When would you like to stay at The Carleton Suite Hotel? Located in the heart of downtown Ottawa, the Residence inn is close to places of interest including the Parliament Hill, the National Gallery of Art, the Mint, Museum of History and so on. There are numerous restaurants and bars in walking distance from the Hotel. The Tulip Festival in spring and the Jazz, The Blues and The Folk Festivals are also held in close proximity to the Hotel. The Hotel has well appointed 37 Studio rooms and 140 one- bedroom and two-bedroom suites. The suites are large and can easily accommodate a family. All suites have full kitchens. The Hotel also have a pool and fitness center. 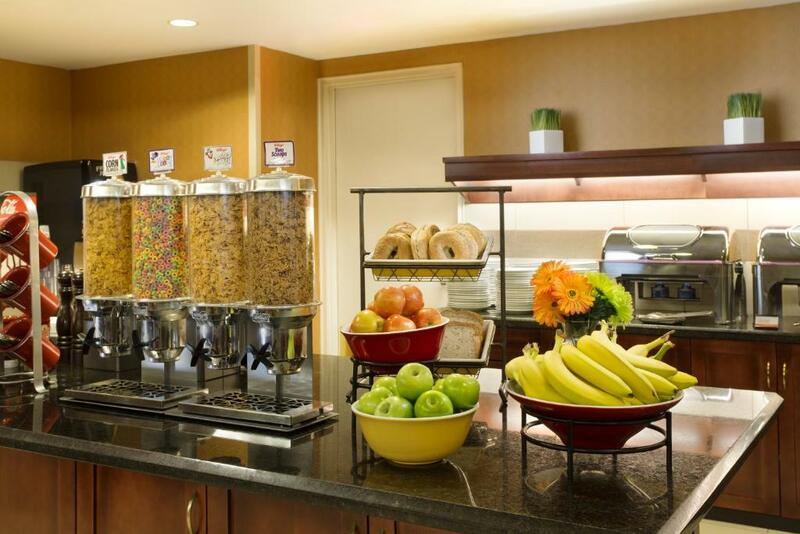 The Hotel has a breakfast every morning and the Residence Inn Mix which offers light food offerings on Mondays, Tuesdays and Wednesdays. The Hotel is easily approached with the Reception desk on the 4th floor of the Hotel. Public parking is available on site (reservation is not possible) and costs CAD 25 per day. House Rules The Carleton Suite Hotel takes special requests – add in the next step! The Carleton Suite Hotel accepts these cards and reserves the right to temporarily hold an amount prior to arrival. You must show a valid photo ID and credit card upon check-in. Please note that special requests cannot be guaranteed and are subject to availability upon check-in (additional charges may apply). The hotel's "RIMix" is held Monday – Wednesday evenings (excluding national holidays) and features complimentary light snacks for guests to enjoy. Please note that the reception is on the 4th floor, and temporary check-in parking is available in front of the hotel. The only two things I can say is that the TV's in your terrible quality and remote controls are dysfunctional. The other is cost of parking. Should be included or a lot cheaper than $23 per night. Breakfast was excellent. Room was very nice, staff very helpful. Great location. Everything was a great hotel. Really minor, but I prefer to take the stairs and the door between the 4th floor lobby and the upper floors was locked. Staff was friendly and helpful (even when needing help at 3am), the suites are nice, the bed was comfortable. Breakfast had lots of options. They let me do a late check out then chill in the lobby. Great location for the Army Run, right next store. Tim Hortons attached to lobby. The kitchen was fairly poorly equipped. A super hotel - really welcoming - we arrived early and they couldn’t do enough to let us check in early. A late check out was also no problem, with no extra charges. Breakfast was included and was lovely and the suite size was great. Also really super location for sightseeing. Everything was very efficient and worked well. Liked that breakfast was included and also made good use of the swimming pool and spa. Great location to downtown Ottawa. Close to everything. Great staff and apartment had everything we needed. Bathroom and kitchen needed a bit upgrading. We had to ask for extra towels since we were a family of six as well as a frying pan and extra toilet paper. Only four towels were provided I guess because that is standard. Cleaning lady was very kind and accommodating. She was happy to give us extra towels and anything else we needed. She should be recognised. Dont know her name but she was filipino. We were on the 11 floor. Breakfast was good. Staff were friendly. Pool was nice. Room was very spacious. Location was walking distance to Parliament hill and other attractions like the canal cruises. Loved the laundry facilities within the suite. Fantastic breakfast!